Running back Chris Carson left last week’s game early with a hip injury. He missed Wednesday’s practice and will be reassessed today. Carson rushed for 116 yards on 19 touches in the ‘Hawks’ first game against the Rams. Should he miss this Sunday’s game, Mike Davis and Rashaad ‘Bad’ Penny would share his workload. As Brady Henderson of ESPN writes, Seattle’s “turnaround was sparked by a resurgent running game.” Thus, Carson’s absence would not bode well for their chances. In legal online sports betting trends, the Seahawks are 2-8 ATS in their last 10 games as a double-digit dog. And 1-5 ATS in their last six road games against the Rams. Few teams can afford to neglect defense in favor of offense. The Chiefs, for example. The Rams tried to Kansas City the Saints and it backfired on them. In general, the Rams have allowed more than 30 points in five games this season. Legal online sports betting trend-wise, the Rams are 5-0 SU in their last five games as a double-digit favorite. The Rams won’t let the Saints beat them twice. Or the ‘Hawks beat them once, for that matter. As users of the best online sportsbooks surely recall, the Rams beat Seattle 33-31 in Week 5. That’s just two points. Five weeks later, can they beat them by 10? 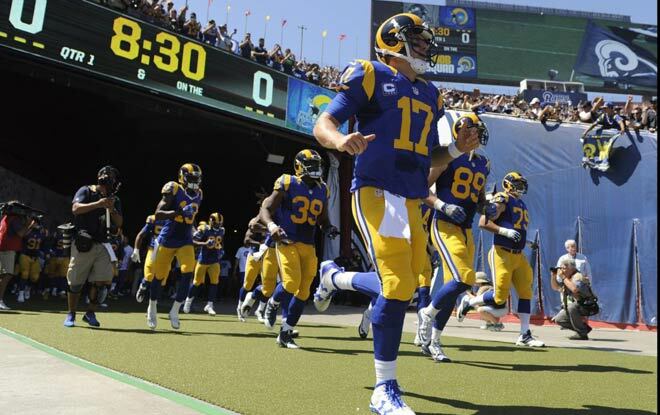 The Rams are 2-0 ATS as home faves of 10 points or more under Sean McVay. So, not saying they will. But they definitely can.